What’s the Difference Between Probiotics and Prebiotics? Probiotics and prebiotics sound a lot alike but they are not the same, and yet they can serve a complementary function in helping to keep us healthy. Got that? Or, better yet, gut that? 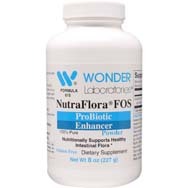 Both probiotics and prebiotics are involved in maintaining good gut health, oftentimes combining forces on behalf of our gastrointestinal system by making sure there is a healthy balance of good bacteria to bad bacteria – preferably more of the former. Probiotics are live bacteria – not to be confused with ant farms or cockroach infestations here – which are found in yogurt or other probiotic-fortified dairy products. 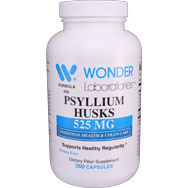 They help keep our digestive system in a healthy state by managing the growth of harmful bacteria. Other good food sources of probiotics, per webmd.com, include sauerkraut, miso soup, certain soft cheeses (such as Gouda) and sourdough bread. What do those foods have in common? They have been fermented, having gone through a process that produces probiotics. Other foods that fall into this category are kefir, kombucha, tempeh and pickled vegetables. Still, if none of those seem likely to stimulate your taste buds, nutritional supplements containing probiotics are abundantly available. 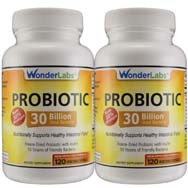 As popular and well-known as probiotics are in health-food circles, they do have their limitations. For one thing, they often don’t survive long enough after ingestion to complete their mission of promoting good bacteria over bad. That’s because heat and stomach acid – and there’s plenty of both where ingested probiotics are headed – can kill them fairy easily. Yes, they are highly vulnerable to what lurks inside us. Prebiotics are what prebiotin.com describes as “a specialized plant fiber that beneficially nourishes the good bacteria already in the large bowel or colon. . . . prebiotics act as a fertilizer for the good bacteria that’s already there. They help your good bacteria grow, improving the good-to-bad bacteria ratio.” By effecting such a ratio that favors good bacteria, prebiotics play a significant role in helping us to maintain our overall health, all the way from our gut to our head, which we’ll touch on later in this article. Our wellness is highly dependent on the healthy bacteria that live in our gut; more specifically, our colon. Colon-dwelling bacteria can fortify our bowel wall, enhance mineral absorption and assist in the regulation of hormonal production. Note, too, that prebiotics also have a synergistic relationship with probiotics when it comes to our gut health. 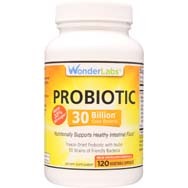 Probiotics feed on prebiotics, digesting them and converting their molecules into energy. Foods rich in prebiotics include asparagus, Jerusalem artichokes, bananas, oatmeal and legumes, per webmd.com. Other such food sources include chicory root, garlic, acacia gum and dandelion greens. Unfortunately, if you are looking for foods that contain both probiotics and prebiotics, you probably are out of luck – none are known to exist. 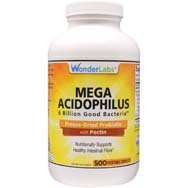 Probiotics taken in conjunction with antibiotic therapy can help in the maintenance of a healthy balance of good and bad bacteria, which is important because antibiotics can’t distinguish between good and bad bacteria while destroying them. 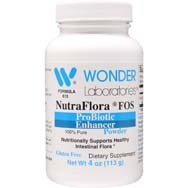 Per globalhealingcenter.com, studies have indicated that probiotics can inhibit the mechanisms that are at the root of autoimmune disorders as well as sensitivity to pollens, dust and other environmental hazards. Both probiotics and prebiotics have been shown in some research to lower cholesterol, specifically “bad” cholesterol in the case of the former. Prebiotics may also help with maintaining healthy blood-sugar levels, according to research cited by globalhealingcenter.com. Now, regarding that earlier reference to how our heads might benefit, animal studies have shown that the use of probiotics can bolster serotonin levels in the brain, this helping to curb anxiety and cognitive decline. Furthermore, recent studies have shown that individuals who consumed prebiotics daily had fewer issues when it came to anxiety, depression and stress. Wait, there’s still more – a test of their saliva showed a reduced level of cortisol, a hormone which, when found in abundance, has been linked to various mental health disorders.